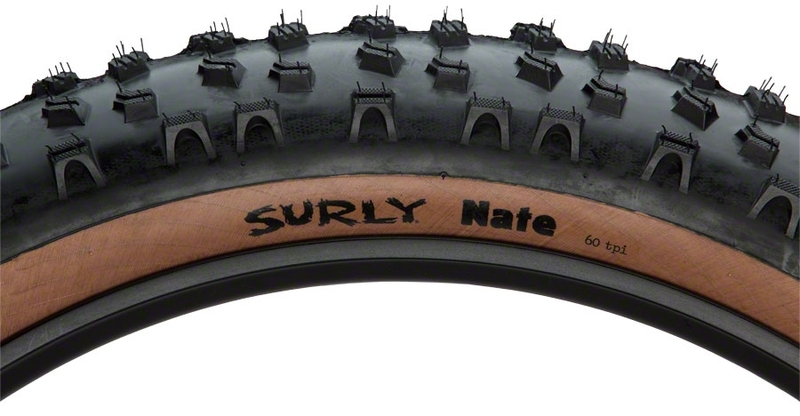 Surly named this tire for their friend Nate, who is himself large and aggressive. This tire has a shred-your-face-off, run-over-anything, kung fu grip knobby tread pattern. The casing is round and supple. Tall, widely spaced knobs are siped for added grip and compliance. The knobs' wide spacing means they dig deep and still shed the crap you're riding through. The tread is wrapped around the sides of the tire some, providing good knob contour even on very wide rims, which in turn allows good off camber traction. Modern Bike set me up with a killer price and no shipping cost. 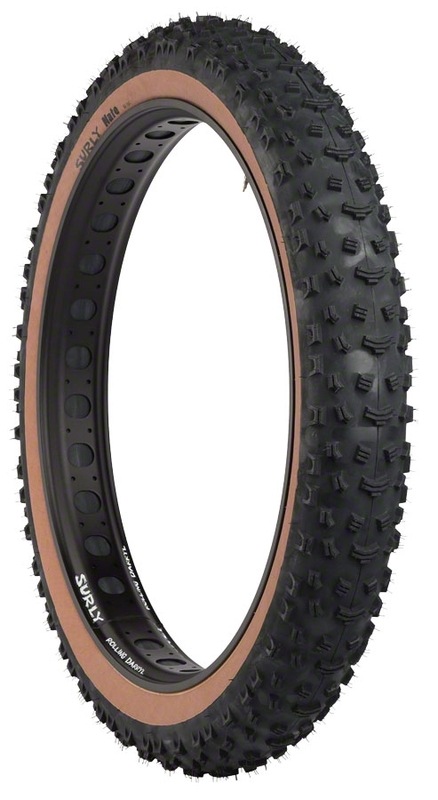 Nates are one of the best fat bike tires even when worn. Get the 120tpi, they cost more but are worth it. Fat tires are still kinda expensive or I'm getting old. I've got so many other thoughts I could write a book. Fat bikes just keep putting a smile on my face whatever I ride over. 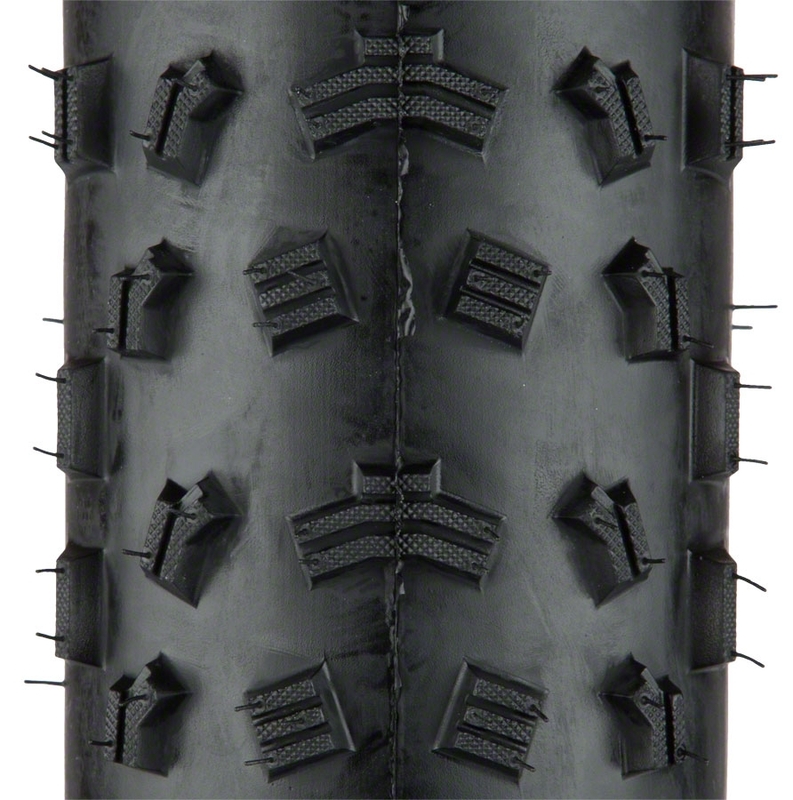 120 TPI allows the tire to be more flexible in rocky terrain. The aggressive tread is good for grabbing into loose dirt/rocks. I would like to see some kind of tread near the middle to help with horizontal forces for sandy situations. That would help when used on the front tire.